If you are a writer like me or just someone who types a lot, then it’s a no-brainer to use a text expander application. For instance, when you are typing you will come across some big words, phrases, sentences, certain email responses, signatures, etc., that you have to type multiple times a day. In these situations, a text expander will help you quickly fill in rather than you typing in the stuff manually each and every time. In case you are wondering, a text expander is a simple application that lets you type shorter character sequence in place of the actual words, phrases, and sentences. These character sequences will be automatically expanded in real time into full words, phrases or even entire sentences depending on your configuration. Windows has many different text expander applications. However, here are some of the best text expander applications for your Windows system. PhraseExpress is yet another powerful and advanced application for Windows that is available in both free and paid versions. 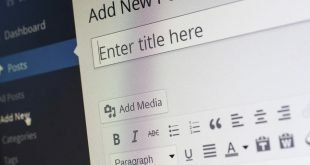 Along with the regular text expansion features, it also has other features like Dynamic phrases, date and time stamps, end-to-end phrase file encryption, sharing snippets with teams and users, various Windows automation tools, clipboard manager, system-wide auto correction depending on your writing style, etc. As you can tell, PhraseExpress is much more than a simple text expander. If you are looking for a free and dedicated text expanding application, the PhraseExpress is for you. Pros: PhraseExpress is free for personal use, and it is cross-platform. You can also download the portable version if need be. Cons: Due to all the features you get, there is a learning curve. Pricing: There is a free version. For paid users, PhraseExpress offers three different plans with $49.95, $139.95, and $219 for Standard, Professional, and Enterprise licenses. Features you get in the paid version: With the paid version you will get access to some advanced features like sharing, desktop menus, MS Word formatted phrases, Clip Collections, SQL Server support, etc. You can see the complete feature list here. AutoHotKey is the best and my most favorite software for Windows. That being said, Unlike the others on the list, AutoHotkey is not so much as a dedicated text expander but a macro-creation and automation tool for Windows. However, if all you want is a simple text expansion with no added features, then AutoHotkey is for you. Using AutoHotkey is nothing hard but you should be comfortable with scripting as you need to manually script what words or sentences you want to expand. To get started, install AutoHotkey, download this sample script and try it out. You can open the script with any text editor to see the instructions in it. So, if you are a bit adventurous and don’t mind scripting then do give AutoHotkey a try. Again, this is not a dedicated text expander. But you won’t be disappointed when you see how much AutoHotkey can do. Pros: Open source, light-weight and must have software for every Windows user. Cons: Not a dedicated text expander and requires you to be comfortable with its own scripting language. It is not cross-platform compatible. Google Chrome is one of the most used browsers and has a ton of extension for almost anything you can imagine. In fact, Google Chrome even has dedicated apps that behaves just like your regular program but will stay within the browser environment. As such, if you are an avid Google Chrome user and does all the writing or just want the text expansion feature within the browser then you don’t have to use a dedicated application that you need to install on your Windows system. Rather, you can install a free Google Chrome extension called Auto Text Expander. As you can tell from the name itself, it does just that. i.e, expand text according to your configurations and settings. The best thing about this extension is that it has no complex settings, and supports both rich and regular text expansion. Moreover, it also supports custom cursor placement, text expansion inside Chrome Omnibox (address bar), date and time macros, clipboard paste macro, auto capitalization while expanding text, etc. Since the extension uses JSON format, you can easily import and export text expansion shortcuts. There is also an option to backup all your text expansion shortcuts. As good as it is, compared to other software on this list, Auto Text Expander is very basic and does nothing more than text expansion. Pros: Works within Google Chrome browser so you don’t have to install yet another software. Very easy to use, platform independent, and lightweight. Cons: Text expansion only works within the Chrome browser. The text expansion options are very basic. There no support for custom macros other than date and time. TextExpander is one of the most popular, mature, and robust applications that Mac users have been enjoying for a long time. It has all the bells and whistles you will ever need. Using the TextExpander, you can expand words, sentences, code snippets, formatted text, pictures, etc. Some of the features of TextExpander include but not limited to using the text expansion in any application, sharing snippets with your team, accessing snippets on all your devices, creating boilerplate snippets, positioning the mouse cursor wherever you want in the expanded text, inserting the clipboard content into the snippet, searching for snippets with a single keyboard shortcut, grouping of snippets, support for scripting, etc. As you can tell, TextExpander is a full-featured application with all the right features that can help beginners and pros alike. Not to mention, the user interface is pretty minimal and easy to use. So, if you are looking for a capable text expander application and don’t mind paying the monthly or yearly subscription then give it a try, the price is well worth it. That being said, there is a free 30-day trial too. Pros: The text expansion works in all applications. All your snippets are stored in the cloud. This enables you to use them on any device. It is easy to use compared to the other applications on this list. Cons: As of writing this, the Windows application is still in beta. So, you might face some bugs and inconsistencies. Is it free: No, TextExpander requires you to have the monthly or yearly subscription. However, you do get a 30-day free trial to test the software. Pricing: For a single user, pricing starts at $4.16 per month or $3.33 per month if you choose the annual subscription. For teams, the pricing starts at $9.95 per user per month and $7.96 per user per month billed annually. You can get more details here. 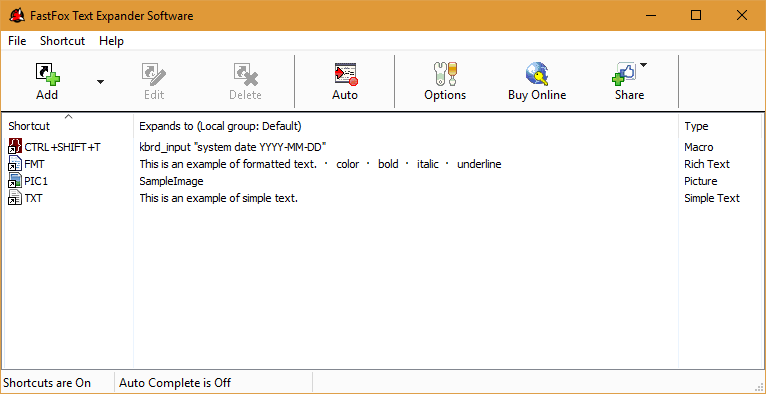 PhraseExpander is also a popular text expander application for Windows. Just like TextExpander, the application has all its features with some more. However, unlike TextExpander, this app is mainly aimed towards enterprises and professionals like doctors and demanding works like data-entry jobs and customer care. 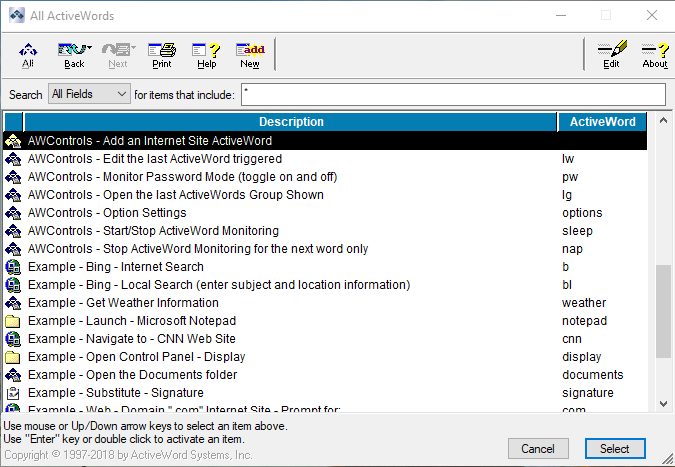 Some of the extra features you find in this application are suggestions and abbreviations while writing, auto-correction, spell checking, custom snippet triggers, support for remote sessions, macro language, multi-level grouping, support for templates and automation, manipulation of text and creating variables, etc. Since the PhraseExpander is highly customizable and powerful, even if you are not a professional, you can use it for all your regular text expansion needs. Considering all the extra features you get, the pricing is a bit higher when compared to the TextExpander. Pros: The application is powerful. With all the extra features you can make your work very easy. Cons: PhraseExpander works only on Windows systems, it is not cross-platform. There is a learning curve to getting used to the user interface. Pricing: PhraseExpander has two different plans with $59 and $149 for Standard and Professional licenses respectively. You can see the difference between those licenses here. Breevy may look simple at a glance but it is one of the most capable text expanders for Windows. In fact, it offers several different options to easily manage all your snippets and make your typing job easy. 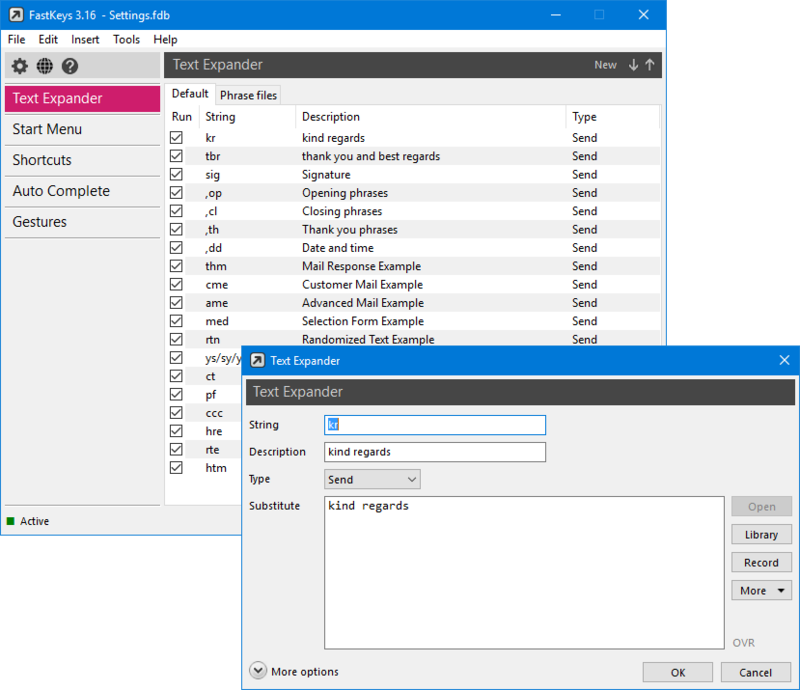 Unlike PhraseExpress or PhraseExpander, it is just a text expander and does a pretty good job at that with its easy to use user interface. 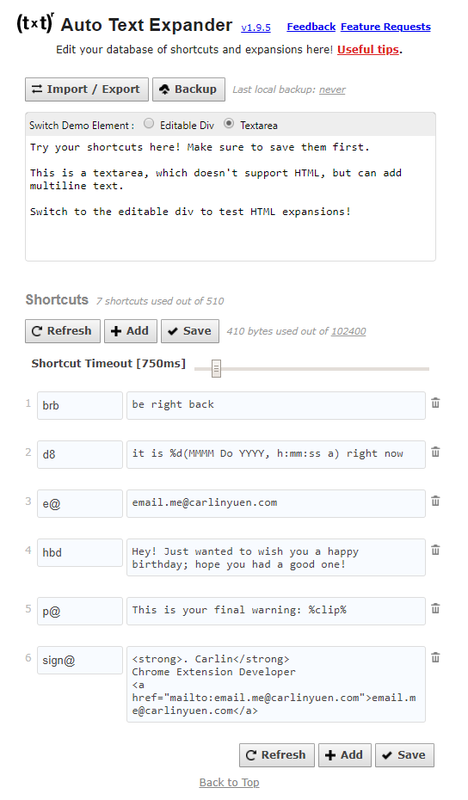 Moreover, you can import or sync snippets from TextExpander. Pros: Very easy to use and customizable. The application is also available in the portable version. Cons: It is not cross-platform. Is it free: No. You need to buy the license with a one-time fee on per user basis. Pricing: Breevy has a single package, and you can get it for $34.95, a one-time payment. FastFox is a very simple and lightweight application that lets you expand not only regular plain text but also rich text. What makes FastFox special is that rather than sending keystrokes like the other software on this list, FastFox works directly with the text for seamless text expansion. Other than the regular text expansion, you can also use FastFox to create picture shortcuts and macro shortcuts. The best thing about FastFox is that the macro shortcut creation is very easy and you can create a very complex macro with just a few button clicks. That being said, as good as it is, FastFox does not allow custom keyboard shortcuts for the macros. Instead, you have to use the pre-configured keyboard shortcuts available in the macro creation window. The upside of this issue is that there are literally 80+ keyboard shortcuts available for you to play with. Other than that, there is also an AutoComplete feature which learns from your typing behavior and shows suggestions accordingly. Moreover, the application also has an interesting feature called Shared Shortcuts where you can share or use the shared shortcut file. This feature is particularly useful for collaborative environments like the office. For instance, you can create a shortcut file with all the regularly and commonly used text expansions, shortcuts, macros, etc., and other family or organization members can use those shortcuts without them manually creating the shortcuts again on their system. Pros: FastFox is lightweight and easy to use. Support plain and rich text expansion. The app also supports picture shortcuts. The macro creation is very easy. Cons: The keyboard shortcuts cannot be customized while creating macros. For advanced text expansion users, the features may be limited as there is no support for things like where the cursor should be after text expansion, custom delimiters, etc. Pricing: FastFox home license costs a one-time fee of $69.95. Of all the text expander applications shared here, ActiveWords is not what you call user-friendly. That being said, ActiveWords is very powerful at what it does. When you first install and open the application, it will put all the control options and shortcuts right in front of you and you can create your own text expansions as needed. Though the user interface looks a bit clunky, there is thankfully an easy to use wizard which guides you through when creating a shortcut, macro, or text expansion. Other than regular text expansions, ActiveWords allows you to create custom scripts with complicated commands and nested activities, launch programs, send emails, open a document or folder, etc. To make it even sweeter, ActiveWords has add-on support to increase the functionality. For instance, say there some files or folders that you’d like to name in a certain format, you can just install an add-on called Inpalce, enter the basic format and you are good to go. You can even assign a keyboard shortcut to that specific setting for ease of use. One quirk you should be aware when using ActiveWords is that it gives you an option to expand text instantly while configuring a text expansion. However, even when you’ve enabled the Instant option, the text won’t expand until you press the Space or Enter key. Though not a big deal, it is a bit awkward but you will get used to it quickly. Pros: ActiveWord is very powerful and allows you to create custom scripts. It can launch program, websites, and even send emails as and when needed. Cons: The user interface is not that user-friendly and it takes some learning curve to get used to ActiveWords. When downloading the software, you need to submit your email address, no need to verify your email address, though. Pricing: ActiveWords is a completely paid software that costs $30 per license per year. To try the software before buying, there is a free 60-day trial. Now, I’ve already discussed AutoHotKey and how you can use it for regular text expansion among other things. The downside of AutoHotKeys is that you have to script your own text expansion shortcuts or use the ones you can find online. 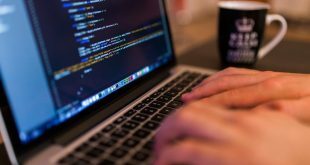 Though it is not that hard to create an AutoHotKey script, if you don’t like scripting and wish you can still use AutoHotKey given its sheer capabilities besides text expansion, FastKeys is for you. FastKeys is built on top of AutoHotKeys and provides you with a GUI (Graphical User Interface) to create your own shortcuts and text expansion. In fact, FastKeys has a built-in module called “Text Expander” where you can create your own text expansions with just a click or two. The best part is, you can trigger the text expansion immediately or set a custom delimiter. You can even configure FastKeys to expand text only in certain applications or windows with certain titles. It also has an auto-complete feature which learns your typing behavior and gives you word suggestions accordingly. Of course, since FastKeys is AutoHotKeys with a GUI, you can create macros with complex actions, custom keyboard shortcuts, launch applications, perform mouse movements, etc. In fact, FastKeys has a vast library from which you can grab AutoHotKeys scripts for regular macros and custom shortcuts for various actions like opening software, sending key shorts, etc. So, if you like AutoHotKey, you should definitely give FastKeys a try and see how it works for you. Pros: FastKeys is built on top of AutoHotKeys. The software is pretty lightweight and very user-friendly, even for beginners. Has a big library of AutoHotKeys scripts to get you started. Cons: Though the user interface is pretty neat and friendly, it can take some time to get used to. Pricing: FastKeys is a paid software that costs a one time fee of $19 for a personal license that can be used on up to three computers. All in all, every application in this list has its own merits. Personally, I’ll go with TextExpander. The reason for this is simple, it’s user interface straightforward and easy to use, I can pay for it on a monthly basis and the application can be accessed on other devices like Mac, Android, and iOS with all the snippets syncing between them. But if you are looking for free alternative PhraseExpress will work well too. So, do try the applications shared here and see what fits your needs. 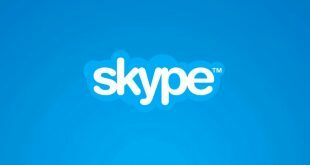 Hope that helps and do comment below sharing your thoughts and experiences about using the above applications or to share your own favorite text expander applications for Windows. Next cat5 vs cat5e vs cat6 vs cat6a vs cat7 – Which Ethernet Cable to Use?